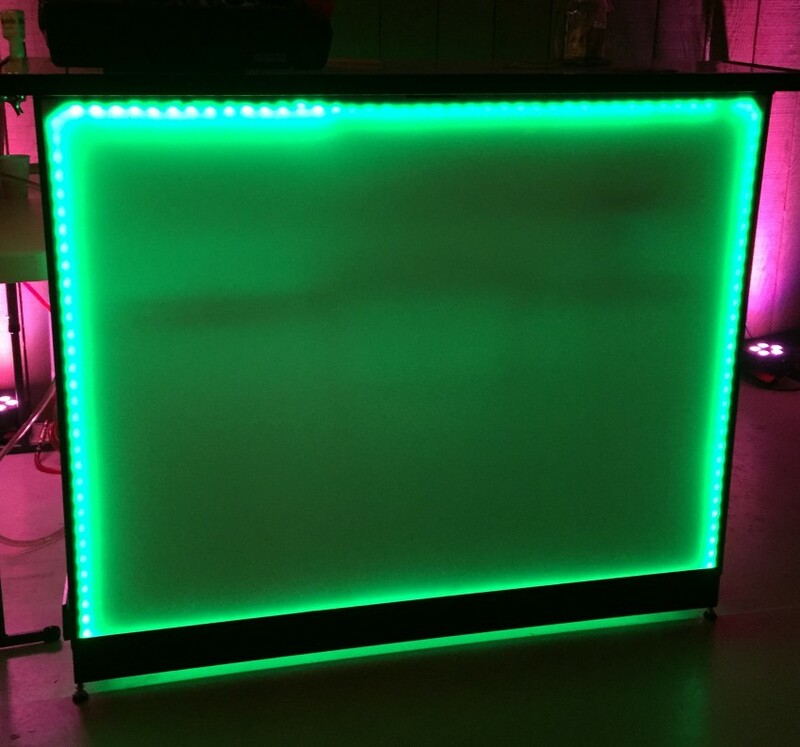 We are a mobile bartending company. We bring classy professional bartending to your door. All our bartenders are certified & TIPS certified. Donald and Linda was great i received a lot of ccomments on their outstanding service. Thank you Gigsalad. .. Negatives: Husband and wife team not suited to tend bar. Not personable, not engaging with customers, and sat back and waited for people to engage them. When one guest left a $20 tip no acknowlegment no extra effort made. Even though I requested casual nice clothes for a wedding, of which they assured me they would do so with the their logo on the shirt, they showed up in what appeared to be t-shirts or Jean shirts. When the bride approached, nothing said to her, no comments or asking for drink requests just sat there. He sat in a low chair most of the night except when serving drinks. I came over to see how they were doing and she presented me with the ice bill in front of my guests - no discretion. Positives: good pre-event email communication, good bar set up (we provided all the liquor, mixers, and soda), and nice sign was made to display what drinks they could make. They did stay the required amount of time. Guest comments: all were very disappointed in the service and professionalism. Would not hire again. I am addressing her negatives. I do not know what she means by not engaging with her guests. When her guests came up to the bar we asked them what they wanted and if we had time we engaged in conversation with with them. It sounds like the client wanted us to walk around and take drink orders, we are bartenders not servers, bartenders stand behind a bar and mix drinks. When one guest tipped us $20.00 it was at the very beginning and he was the first guest at the bar. I said thank you. When we see guests put money in our tip jar , we say thank you, we don't check to see how much they tipped. She said wear at least khaki's and a polo shirt, for a wedding we wear black pants and a charcoal gray dress shirt not even close to a jean shirt. When we arrive to set up we wear T shirts that so we don't get our dress shirts dirty setting up the bar. The couple of times the bride came up to the bar we made her drink right away and congratulated her right away. Most of the time someone came and got drinks for her. The number of times the groom and his buddies came for shots or drinks they got served right away. Yes we sit when its slow, sometimes clients provide chairs for us, we sat on our ice chests as there was no room for chairs and no chairs where even offered. Did she wants us to stand for 7 hours? She and her husband came came up to the bar and asked for the receipt for the ice and she says we where not discrete. There was one guest that was unhappy with the wine selection. (We do not provide the wine and the alcohol) and he was upset that the red wine was chilled, not our doing. They had all the red wine in the refrigerator. If her guests where disappointed in our service and professionalism we did not see it. She may have been disappointed because she expected us to do more than what she hired us for? Being on Gig Salad for five years and 35 bookings from Gig Salad. This is only our second negative review. It was great.. They did an amazing job. It was really hot in the party and they were ready with the drinks. They were really ponctual. That really help my guests. Every one like the drinks. D&L bartending were great. 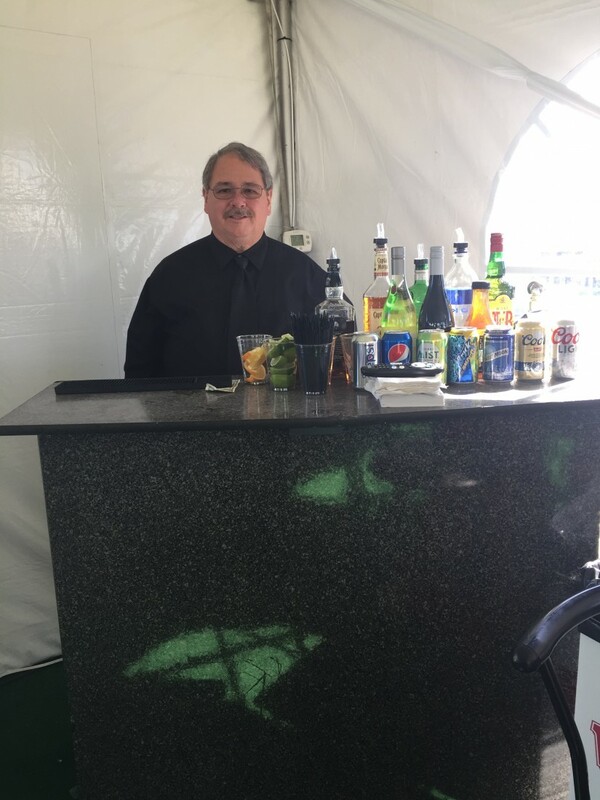 Don and Linda (aka D&L Bartending) helped us with our wedding and we couldn't have been more pleased with their services. They went above and beyond (arriving early, bringing the ice we neglected to get, etc). I highly recommend them. Were available last minute due to a bartender flaking out two weeks before my wedding. Their professionalism put my mind at ease while my wedding party, family and I were dealing with rain the whole day! Would hire again! We hired Don and his wife for our wedding reception. They did a great job taking care of our guests and provided excellent service for us! You get what you pay for. As an event professional, I expect all of my vendors to show up, work hard and be professional. The service wasn't awful, but the fact that the bartenders wore polo shirts and sneakers in a formal wedding environment had me very frustrated along with my client. They are nice people, but their level of professionalism is lacking. From the very beginning there was a lack of communication from this wedding planner. She asked us for a quote in February but did not book us until the middle of June. She blamed it on the clients. Asked to meet with her and the clients at the beginning of July to discuss what cocktails they wanted to serve and to see where they wanted the bar set up ETC: NO response. I asked again a week before. Her response "I don't always get notified about these messages". I get all my messages from gig salad but she doesn't? Tuesday before the wedding we talked to her on the phone and on Thursday by text to finalize details. Nothing was mentioned about what they wanted us to wear. On our website we have what our uniform consists of: black pants with your choice of a charcoal grey dress shirt or polo shirt. If you have a special request just ask. Nothing was mentioned we choose our polo shirts as it was outdoors in Piru & 80 plus degrees. She did not like our foot wear, we are behind a bar no one is going to see. Yes we wore tennis shoes. We are on hard concrete for a number of hours, she wants us to wear dress shoes. The feed back we got from the guests was positive. Don and Lynda came early to set up the bar so everything was ready to go when guests arrived. They were very personable and the cocktails tasted great! Don and his wife were amazing Bartenders at our wedding. They were professional and many if not all guest where were happy with the cocktails. Everything came out perfect. You will get certified bartenders, whose uniforms consists of black pants, charcoal grey long sleeve dress shirt or polo shirt with our logo. If you want a certain look lets us know when booking. Our names are Don & Linda and we are certified Mixologists & TIPS certified. 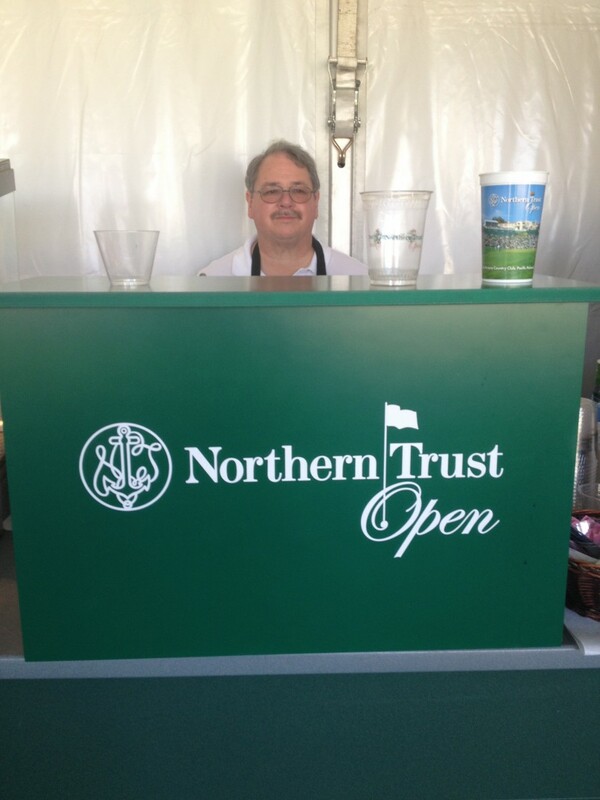 We have bartended at the finish line during the Amgen bike race in Santa Barbara for a charity event. 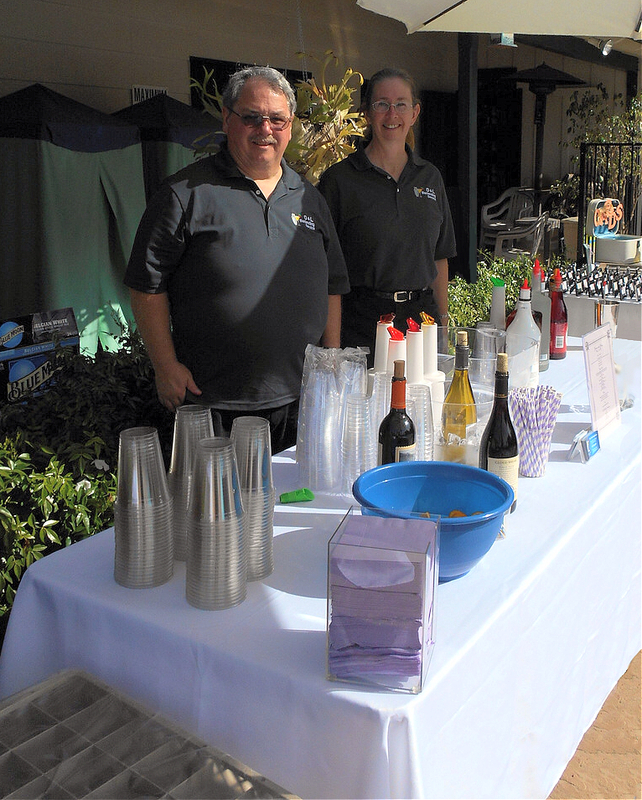 Some of the wonderful events we have bartended are wedding receptions at the Santa Barbara Rec. Center, The Hidden Oaks Country Club in Santa Barbara, The Camarillo Ranch House, the Newhall Mansion in Piru, The Harris Ranch in Camarillo, We have also done a Bar Mitzah at the Mosher Alumni House at UC Santa Barbara, along with backyard wedding receptions and anniversary parties and birthday parties, The BNP PARIBAS Tennis Open at Indian Wells. along with professional golf tournaments. Our fee is for one or more Bartenders and a portable bar if needed. If a second bar is requested a nominal fee may apply. We provide ice chest and coolers for no additional charge. We can provide a jockey box for an additional fee. Ice and disposable cocktail glasses can be provided for an additional fee. For liability issues we do not provide the alcohol for your event. We can purchase it for you as your agent as long as we are reimbursed. We do request that you purchase the .750L bottles of alcohol as they fit our speed wells and our pour spouts.